This week I had the pleasure of speaking with one of the world’s leading minds when it comes to how working like a network can drive real business performance for organisations large and small – Simon Terry. Simon is currently a consulting working with organisations around the world grapple with digital technologies and disruption – but previously he was the CEO of one of National Australia Bank’s businesses – HICAPS. 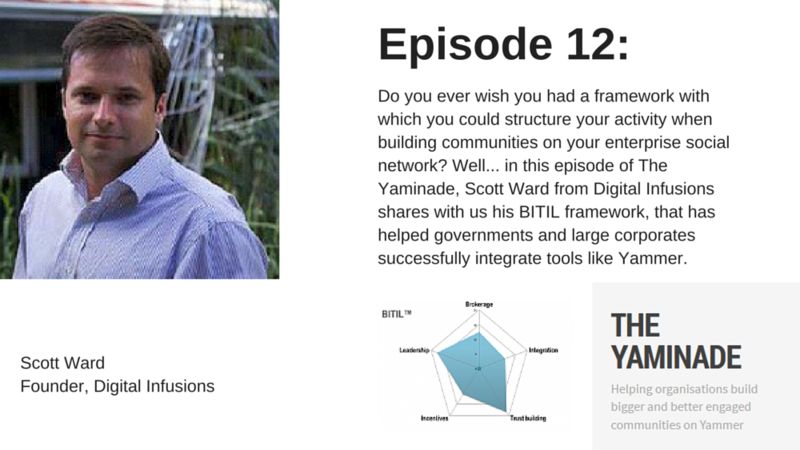 In this episode Simon shares his thoughts regarding how executives and their management teams can use enterprise social tools like Yammer to increase employee engagement, gastritis and ultimately drive real strategic outcomes. For the second half of the episode we discuss the upcoming Work Out Loud week from 17 November. Talk about Working Out Loud! Paul: Hi everyone and welcome to this week’s episode of The Yaminade. 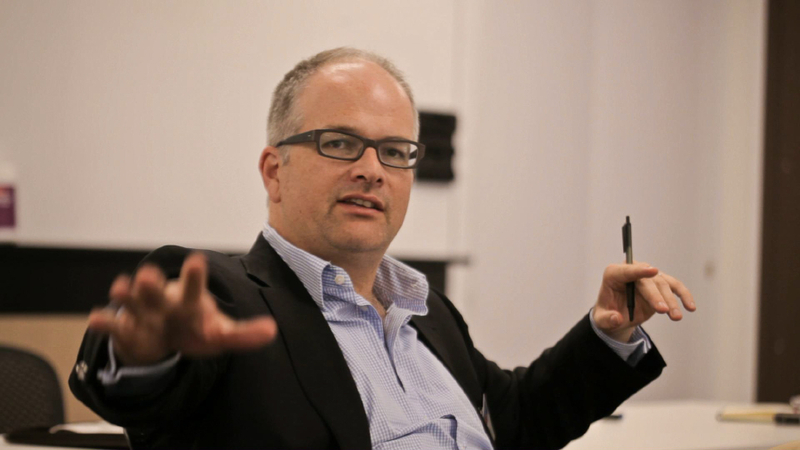 My name is Paul Woods and I had the great pleasure of talking to a digital transformation innovation and leadership expert. A lot of people in Australia know this man and his baked goods as well. Please welcome Simon Terry to The Yaminade. Simon: Thanks Paul, it’s great to be here and I love the baked goods reference! Paul: You make my mouth water every night when I see a fruit loaf being posted on Twitter! Follow Simon on Twitter @simongterry and you can follow the baked goods’ story. But that’s not why I invited him here today. First of all, he is one of the few people I’ve sat down with over the years and I’d rate our conversations as one of the top three lunchtime conversations I’ve had in my lifetime around business, performance and things within the Yammer community that we like to talk about such as working out loud, working as a network, etc. Hopefully the conversation we’ll have today will reflect the one we had a long time ago in Melbourne and give you some insight into the way Simon thinks about these things. Secondly, he’s had some good experience in lots of organisations including National Australia Bank (NAB) here in Australia and he was a CEO for one particular part of that which was HICAPS and I’ll get Simon to explain a bit more about that in a second. Finally for the last half of this podcast we’ll talk about something called working out loud and Work Out Loud Week which Simon has lots of great things to say about that. Simon, would you like to share your time at NAB and Yammer story as an executive at HICAPS? Simon: Thanks Paul, it’s great to be on the show and thanks for setting the bar so high in terms of this conversation. I was an executive at NAB for over twelve years and experienced a variety of roles within that organisation. About half way through my journey at NAB, they began to use Yammer. Like many organisations back then, it started in the organisation virally. One of the things I first noticed and experienced at the time was that it was a great opportunity to create new conversations that cult through silos and connect through the organisation and enabled people to share information and connect in a really rich way. What was also evident at that time is that it had begun virally, it was unofficial. There was a real need for some leadership support, connection and sponsorship. Gradually, through a variety of roles that I had within the organisation, I got drawn into sponsoring unofficially and help shape the community with a community of champions, it wasn’t just me, I was just one we realised there was this fantastic leadership opportunity. I was CEO of the HICAPS business. HICAPS is a health insurance claiming business owned by NAB. It has a fantastic position in the Australian market, but it’s a small, standalone business in a very large financial services group. 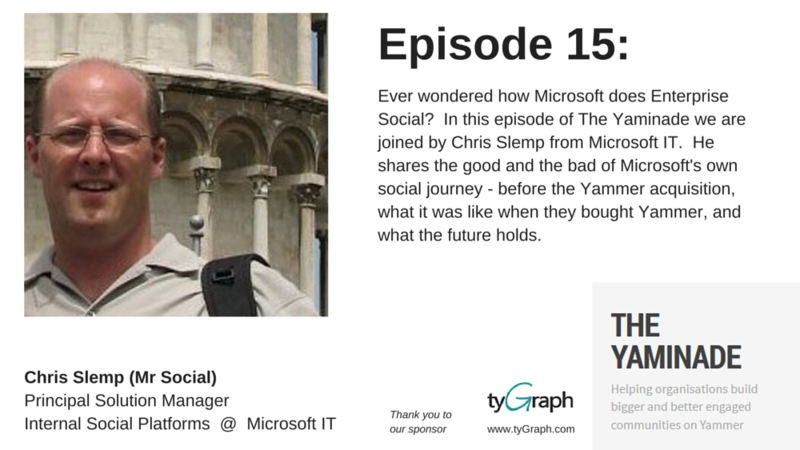 I had some fascinating insights of how Yammer could help a small business like that. To give you an example, many people didn’t know that NAB owned HICAPS as it is very separate, it has its own location and premises. The opportunity to use Yammer to work out loud and tell my story of running the HICAPS business and connect the rest of the NAB organisation to a successful business that they ran and to leverage the rest of the organisation to address the challenges of HICAPS: being able to get technology expertise from our Yammer network to talk about problems we had within HICAPS, or in one particular situation we had an outage in the HICAPS business. In that situation, NAB branches would often get queries from customers about HICAPS, but they weren’t used to finding information as it wasn’t on the radar for branch staff, so Yammer offered this fantastic opportunity where I, as CEO, was able to work out loud through the incident as it occurred, explaining to everyone on Yammer what we were trying to fix and how long the system would take. That was a great thing to be able to communicate all of that to customers of NABS and HICAPS. That opportunity really pulled me into the power and passion of enterprise social solutions like Yammer. Now I spent my time helping organisations to leverage enterprise social and collaboration and also thinking about how leadership has to change in this new era where the enterprise is much more networked. Paul: Absolutely. That’s a great story and outcome about the power of a well-managed, well-engaged network on a community such as Yammer. 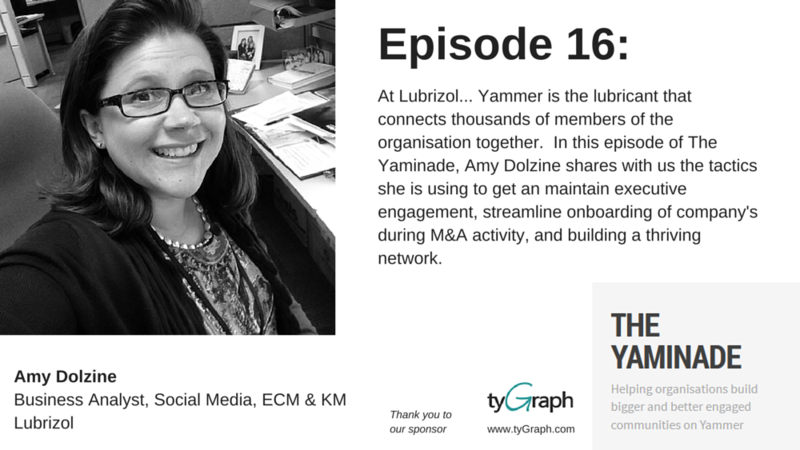 How did the Yammer champions get your attention, to formally get you engaged? Simon: For me it was driven out of my understanding of NAB’s strategic objectives and particularly among those objectives, its cultural transformation objectives. With a good understanding of the group’s strategy and what the group wanted to achieve as we moved forward, you look at what’s going on in Yammer and see positive outcomes towards group strategy. You saw frontline customer staff raising problems they had and asking Head Office to fix them. You saw people getting better information on the strategy and asking questions and clarifying what the strategic intent of the organisation was. You saw people innovating together, actually getting together and saying “hey, I’m really interested in this new technology, how can we use it in the organisation?” and these really passionate and engaged threads where individuals who really believed in the potential of a particular piece of technology came together with people who’ve had the opportunity to apply it. I think the other thing which can’t be ignored is that all of this is visible, it’s all public. All of this was going on in the organisation but they’re hidden. As you know being an executive, that the first thing is to have a sense of what you can see in the organisation before you can even start to make changes. That ability to see what was going on and to realise, as an executive, I could join those conversations and make a significant effort to help people. It wasn’t about making orders or telling people what to do. In most cases it was about me bringing my network to individuals who were really keen to make change. But I, as an executive higher up the hierarchy, was able to get them leverage and the ability to do that and make simple gestures to enable people as I knew they had those problems, that showed me there was massive strategic value in a tool like Yammer. So we, very quickly in NAB developed two themes on our Yammer network. One was around what we could do to foster collaboration for the purposes of innovation and the other was to share the type of leadership we wanted to grow in the organisation. Those two things set us up very well for the future development of the organisation. Out of those two things sprung focuses on things like Lean and continuous improvement and process improvement, customer experience design. When you get into those areas, the strategic value of collaboration and enterprise social networking becomes clear pretty quickly. For me it was initially about the potential and what we thought we could achieve. Because it was very business focus, it wasn’t a coms strategy issue or an engagement issue, it was very much around “hey we can use this to get stuff done that we can’t do”. Paul: Yeah, absolutely. Did you have any backlash from your peers within the organisation? People like running other businesses within NAB, or was everyone on the same page, let loose, go for it? How do you find time to do it? I’m a busy senior executive, too busy to check my email, how do you find time to spend on Yammer? I’m not familiar with it, why would it make sense? Isn’t it a distraction from your daily business? Simon: – My email dropped. Because the HICAPS business wasn’t very well known in NAB, one of the things that became an accidental side product of the CEO of HICAPS’ role, was that was the job everyone could find if they wanted to ask a question of HICAPS. What my inbox was full of was people who wanted to ask questions of my team but routed them through me. Once I started using Yammer, people posted to Yammer as they knew it was somewhere I was always available. My team realised that if that question was related to them, it was probably a good idea that they answer it directly. What I discovered was that those questions had been posted in Yammer and answered by team members of mine and I didn’t even need to deal with them. So you started to see people realise that there was a better way of getting problems solved, getting communicated and every one of those answers became public, became searchable and people said “I always wanted to know how you did that”. A lot of those opportunities increased influence and productivity. As you know, I was the Senior Executive and it influences your commodity of trade. As you know, it’s far easier to build your influence through Yammer than something like email. Simon: Yeah, this is a social process. One of the things I love about social business is that it forces us to rethink management in terms of how humans behave. We already naturally avoid people we can’t trust and spend time with people we can trust. Trust is the most sophisticated algorithm that is built into the human brain. We can manage really complex trust relationships with hundreds of people and know who we will work with and who we won’t, we make judgements quickly and evolve those judgements as new things occur. Being able to leverage that, rather than fixed, arbitrary hierarchies and processes. One of the things that happens in hierarchies is that it’s ok to let down other silos, you just never let down your own because you’ll be held accountable by your own, but your own may not hold you to account for how you’ve let down silos. That creates terrible dynamics within an organisation but when you’re talking about a network, when you’re working with these people consistently, you don’t let them down because you’ve got to maintain a relationship with trust. Paul: I think accountability in management in general is one of those things that as a manager myself and you being an executive that we try to align the business strategy and make sure people get done what needs to get done. It’s great to see some of that thinking coming through. Let’s switch tact a little bit, moving from your work at HICAPS to what you do today. Let’s talk about working out loud and Work Out Loud week which is coming up soon. Just a quick definition of what that is and where it’s come from? Simon: Sure! The most common definition of Working Out Loud was originally proposed by Bryce WIliams who is from Eli Lilly. He’s involved with a lot of their content management, making your work visible, plus narrating your work. Talking about the process of working out loud and helping others engage and learn from your work. The really powerful about Working Out Loud, is that people think you’re bragging out loud and that it’s a process of describing about all the great things you’re working on. Working Out Loud isn’t talking about outcomes, it’s actually a practice of talking about what you’re doing now. It’s to describe uncompleted work and the process you’re going on with, a couple of things become possible. Firstly, other people might know how to help you complete that work. Secondly, people might have ways to tell you that you’re going wrong, or ways to help you work faster. But if you’re making your work transparent, other people can benefit from it and apply it. I’ve really got more and more into the practice of Working Out Loud. I’ve found an increase in my personal productivity because the more I share what I’m working on and thinking about, the more I discover great inputs coming back, great suggestions of ideas and people who want to work with me on particular topics, who are inspired by particular ideas or people who tell me I’m wrong and suggest a better direction to go. I think that’s a valuable piece of work. To give you an example, the IP I had about what makes a Yammer network successful. I was finding that very hard, doing it on my own as a consultant, so what I did was Work Out Loud with a few individuals I knew and respected. I was putting all my IP out on the table everything out on the table for people to do what they thought with it. What I found was incredibly powerful. Everyone respected the fact that I was prepared to share stuff that wasn’t quite right and still needed developed. I got amazing feedback in the ideas people gave me that I would never have thought about in relation to that work. They started to create opportunities for me to use it and say “oh you should see this work that’s being developed by Simon, you should really have a chat to him about it” and they’d make introductions for me or help me grow the work in particular ways or make suggestions as to how I could use it. Paul: So you not only have fast feedback that helps with the development of those ideas in getting them conceptualised and onto paper but they also help you share that knowledge more effectively also because they connected you to people within their network. Simon: Exactly. Because they had seen things in places which we had built together, they had more trust in these ideas and to stand and advocate them to others. Fantastic opportunities… I use this model to create value in these networks. You need to think about connecting people, sharing information, solving problems and then innovating together. It’s a bit of a maturity curve across those four steps. A fantastic thing I’ve found is that Working Out Loud is a fundamental accelerant across those four stages. It starts to accelerate the process of creating value in these networks because the more you surface work, the more easily you can make sure workers align to the strategic outcomes that they should be aligned to. You remove duplication: in any large organisation, there are at least two people working on the same thing and you don’t know it until they start to work out loud, or at least one of them works out loud and the other says “hey, I’ve already done that”. I think those kinds of opportunities come when people are more transparent. But at a personal level, the learning opportunities of Working Out Loud are phenomenal: changing your mind-set. One of the things my blog has become is a process of personal management out loud. You mentioned my accountability posts before, that was me trying to work through what accountability meant on the blog, with the danger of people who knew better could tell me I was wrong but they could come in and tell me what other things I needed to consider as part of that process. Paul: That’s a good problem to have, if people are coming in and telling you how to improve what you’re thinking about. I wouldn’t say that was a danger, I’d say that was one of the best opportunities of working out loud, getting that fast feedback, even if you’re completely on the wrong track, it enables you to get back on the straight and narrow and explore what you’re exploring. Simon: I agree, Paul. But the way we traditionally think in management is the danger. Being found wrong is a danger, whereas you and I know that fast feedback and getting on with highly-productive work rather than grinding away at things that are no longer going to help you is a significant advantage. Simon: Yeah, I’d much rather be judged on my outcomes than the process. Paul: Absolutely. So Working Out Loud week is coming up soon and we’re recording this on 4th November which is Melbourne Cup Day. Just to say it’s a public holiday where Simon is, so I appreciate taking time off on your holiday to chat to me. Working Out Loud week is coming up in the middle of November, would you like to give me an overview about what it is, what are the goals of the week and how can participate in Work Out Loud week? Simon: There are a number of people around the world who are big fans of working out loud and related practices like sharing your work. They believe strongly in the idea that this is beneficial to everyone in the way they work. What Working Out Loud week is, is an opportunity so celebrate that practice out loud and give people who might be new to Working Out Loud the opportunity to try for a short period of time. A week isn’t too long out of your life to give a try to a new practice. The reason we don’t have Working Out Loud day is that we think it’s a habit and we encourage people to put a bit of effort into it over a consistent period of time. The more you try it, the more benefits you realise. Working Out Loud week is from 17-24th November this year, the simplest way to get involved is to just start working out loud. Whether that’s in social channels externally, Facebook, Twitter, Google+, or as simple as making your work visible by putting post-it notes around your work space to make your colleagues aware of what you’re doing. What we star to notice is that people engage in new interactions and meet people who can help them and that’s what we’re looking for. With people who have a bit more experience with Working Out Loud, John Stepper who has a great blog at johnstepper.com has a great talk on Working Out Loud that he has up on his blog there and we’d encourage people to present that talk or their own talk to their peers or people within the industry. We’d love to see people getting the message out about Working Out Loud. The focus of the week is to enable people to get involved in Working Out Loud and to work with others to watch what’s going on. Paul: Are there any particular people that you know will be Working Out Loud that we should look out for? Simon: I’ll be there, so you can follow that. You’ll see John Stepper @johnstepper and johnstepper.com. Jonathan Anthony from TMWK @thismuchweknow on Twitter. He has a fantastic blog with great insights on Working Out Loud. If anyone wants to know more about Jonathan, he worked out loud on a Pecha Kucha about Working Out Loud. Austen Hunter @austenhunter on Twitter is another exponent of Working Out Loud, as well as others around the world, people like Harold Jarche, Jane Bozarth who has really championed Show Your Work and a number of people getting involved. We have a Twitter account @wowweek where we collect and share best practices around Working Out Loud and a blog at wowweek.com where we reposting and linking to fantastic blog posts and other materials about Working Out Loud from around the world. What we’re trying to do is make Working Out Loud as accessible and visible for people who would like to get involved or just see what it does. I think the point I mentioned before is that this doesn’t require you to make your entire life transparent on external social media. Working Out Loud is just a practice in questioning what you’re doing and how that could be shared with others. It could be as simple as post-it notes or just a poster in your office. It doesn’t have to be digital or external but the more you make it available to your network, the more opportunity there is for others to get involved. Paul: I think it would be a great idea to work out loud about Work Out Loud, posting pictures or comments to @wowweek account on Instragram or Twitter, that would be a great way to show your success and challenges. One question in the back of my mind is that people who are new to Working Out Loud, there’ll be a cultural dip they need to go through before all their peers in the organisation accept what they’re doing “why on earth are you talking about what you’re doing?” Is there one piece of advice you would give? How do they manage the expectations and attitudes of others? Simon: It’s a great point and for me the first thing to do is to go into it with the humility to realise you might be wrong and that you are learning and to express that viewpoint to other people. My sense and experience is that people are amazingly generous when your intent is to be more successful and help the organisation. It’s not about you, it’s about the work that you’re doing and achieving better outcomes, whether that work is personal or part of an organisation. Don’t assume that what you’re doing is obvious to other people. The reason Work Out Loud involves that step of narrating your work is that it actually enables you to explain why you’re doing what you’re doing. Narrating the fact that you’re working out loud because you want help and you find it challenging and this is what I’ve learned today and this might be of value to you… you start to do that and going back to my experience at NAB, when I started using the Yammer network extensively, it was unusual for a senior executive to do that. So I had to narrate what I was doing “I’m sharing this with you because of this reason and I think someone might be able to help”. Another piece of advice comes from Eric Krauss who wrote a fantastic blog piece about it, “don’t try to be interesting, try to be interested”. You are not looking for praise, you are looking to share it with people who are doing that kind of work. You might actually share it in response to other people’s materials “hey that’s great, this might help you, these are some things I’ve been doing” if you adopt that humble learning approach and narrate your work and remember that your goal is to build a connection with people through this process… often the way to start is by making contributions to others, not necessarily by posting stuff. If you look out for that opportunity to share your work in response to the work of others, and John Stepper has some great stuff on this, it’s very hard for people to find that strange or worthy of criticism. Simon: I’m @simongterry on Twitter and a lot of the sharing you’ve described, including the pastries, goes on there. There’s also a pastry blog, but we’ll skip over that for present purposes. My main blog is simonterry.tumblr.com which is where I work out loud on some of the concepts and try and share that IP I’ve been working on how to manage collaboration in social networks. A lot of thinking about the future of work and responsive organisations. They are the principle resources.